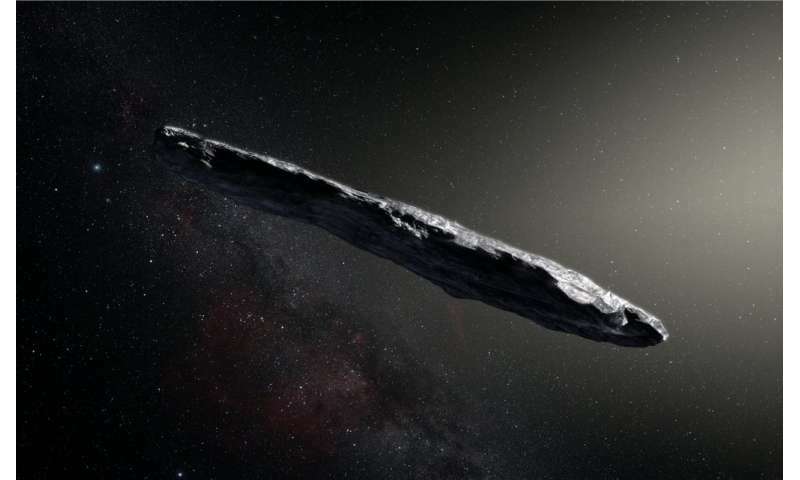 The unusual object—known as 'Oumuamua—came from another solar system, prompting speculation it could be an alien spacecraft. "So astronomers went back through observations from the Murchison Widefield Array (MWA) telescope to check for radio transmissions coming from the object between the frequencies of 72 and 102MHz —similar to the frequency range in which FM radio is broadcast. For the first time ever astronomers have studied an asteroid that has entered the Solar System from interstellar space. Observations from ESO’s Very Large Telescope in Chile and other observatories around the world show that this unique object was travelling through space for millions of years before its chance encounter with our star system. It appears to be a dark, reddish, highly-elongated rocky or high-metal-content object.